Why is this a personal Transition Journey? Well it’s easy to recall when, where and why this started – in June 2010 at Alington House in Durham I attended a Co-operative UK event which incorporated a workshop called ‘Plan Bee’, where I would be able to learn more about keeping my own bees… however as the Durham Bee Keepers Group, for some still unknown reason, did not arrive I chose instead to go into an “ad-hoc/off the cuff” workshop that was delivered (at short notice) by Wilf Richards (of Abundant Earth). So in August 2010 I gave up being employed in “partnership working and economic development” by the Local Authority, and set about establishing a way of living and working that was more in harmony with developing my own knowledge and skills of place-shaping, and building social capital in predominantly rural communities by working on community-led planning activities. 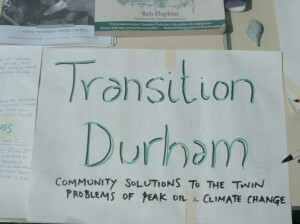 I also decided to join the local Transition Durham (TD) group and find out how to make a personal and collective impact on developing our Energy Descent Action Plan (EDAP). In December 2010 TD took up the offer of becoming one of ten Transition Initiatives (TIs) s to develop their own local approach to the “REconomy Project”. In March 2011, again in Alington House, 28 people attending an all-day ”visioning future enterprise” workshop, where we contributed to our vision of Durham in a 2020 world, and we committed to developing a 12-month programme of activity to implement the first steps of this through the work of our TD Economics and Livelihoods Working Group. Much energy and fun was expended in producing ideas for potential low-carbon social enterprises arising out of existing TD activities, that would in time become embedded in our local economies. These included fruit tree cultivation, urban food growing and a community bakery, community re-cycling centres, eco-village and co-housing developments, renewable energy co-operatives and post-carbon education. We identified specific actions that we could undertake that included a Community Skills & Needs Audit, engaging in the Local Authority Community Buildings Assets Transfer Programme, exploring community leases for Local Authority-owned woodlands, exploring opportunities for Community-supported Agriculture, developing Alington House as an Enhanced Community Hub and developing ideas for a physical location for a “Transition/Wellbeing heart & soul” residential centre. 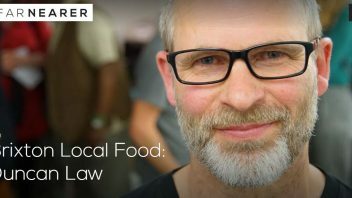 Initially my own interest in being involved was because it appeared that all of this seemed to accord with my own developing interests in supporting local communities to understand, and own, the local issues and then research, develop and deliver their own solutions. 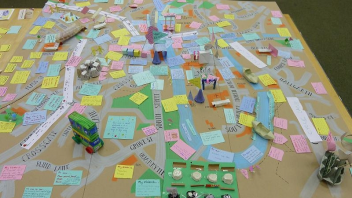 Also as a post-graduate of Durham University – where the Centre for Social Justice and Community Action have developed robust approaches to participatory action research involving County Durham Villages and Masters and PhD students – I wanted to see if this (REconomy Project) might also help with my understanding how Transition Initiatives could contribute to the creation of more robust and resilient community-led commissioning of goods and services – particularly in those areas of my own work around both community-owned food and alternative energy and in eco co-housing. In collaboration with Empty Shop CIC, Durham University and Beacon North East, Transition Durham held a week-long community mapping event from 11th – 18th June 2011, transforming an empty shop in the Gates Shopping Centre, Durham into a welcoming place to relax and chat about Durham’s potential futures. The event, entitled ‘What? No Oil?’, used an interactive mapping activity as a focal point to encourage shop visitors to participate in a debate exploring how community action can turn economic instability caused by rising oil prices into an opportunity for positive change towards sustainable futures for Durham City and the surrounding area. Extensive outreach work was undertaken prior to the event to ensure widespread awareness of the project, and shop visitors were provided with a variety of means to participate, thus ensuring an inclusive approach. Over 350 written contributions were given by shop visitor’s, alongside innumerable contributions made via conversations with shop staff. 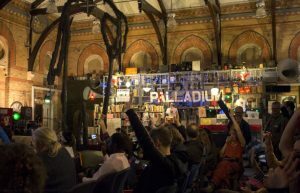 A recurring theme throughout the research indicated that people are particularly concerned about how we make the best of our existing space and resources and regenerate derelict or underused buildings and land. People are proud of Durham and its heritage, but feel that so much more could be made of it – the river, Wharton Park, public buildings, green spaces, empty shops and houses – everywhere could be more productive, bringing life to the city and its people, and increasing local resilience. This theme has been incorporated within all the following subsections, but deserves a special mention due to its importance in people’s imaginations. Shop visitors contributed hundreds of ideas over the course of the week, out of which 10 key themes emerged which were Waste Management; Transport; Food; Livelihoods, local business and economy; Housing; Energy; Leisure; People and Community; Skills & Education and Villages. See the main image above for the output map. 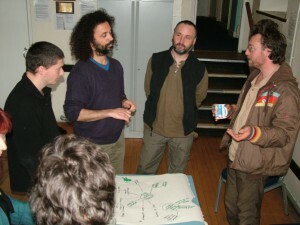 At Transition Durham we started the “real work” work on our local REconomy Project in March 2011, as mentioned above. Our approach has been to build on our current activities arising in our modular group structure (Food, Fruit, Energy, Economics, Transport, Research and Outreach) and have experienced both success and frustration in equal measures. 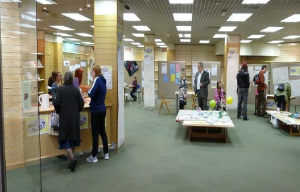 * the week-long “What No Oil” event (June 2011) in an Durham City Empty Shop (developing local solutions to the interconnected problems of rising energy prices, climate change and economic uncertainty) led by a Durham University MSc Student who wrote up and published as part of her dissertation. 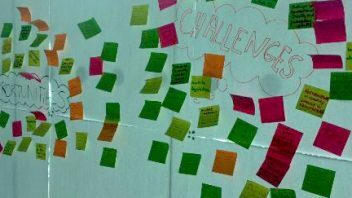 A web-based tool was subsequently developed to take forward over 350 individuals comments into the further EDAP events in April/May 2012. * Fruit Group undertaking the process to “spin-out” into a registered local enterprise ‘Fruitful Durham (established May 2012)’ to utilise the assets developed over last 4 years including an electronic fruit tree map of Durham City, fruit tree nursery, tools and equipment, knowledge and skills of volunteers– and they have just won a local Blueprint Durham Business Award in the “Social and Community Category”. * Volunteer time being limited and stretched by numerous other commitments. * Development of a hired TD Office/Meeting Space and ‘hot-desk office and incubator space for emerging social enterprises’ has not yet produced the measureable results to reflect the financial resource that we have invested in it. * Community Café and Bakery – still ‘gestating’ ideas. * Gardening/Food Co-op – still awaiting potential start-up funding. 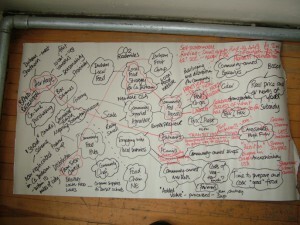 * Community Skills Workshops – still exploring how we build on existing Durham Exchange and Permaculture Courses in Durham. * Dunelm Community Power – a community-owned renewable energy co-operative – awaiting buy-in from local residents. Personal observations on the emerging REconomy project for Transition Durham include that we now recognise that TD ambition perhaps exceeded our capacity to deliver “everything”, that we still need to perhaps engage more efficiently and effectively with Durham AAP Business Forum and the County Durham Social Enterprise Forum, and that we succeed when we focus on fewer projects; so need to deliver and then build on these. 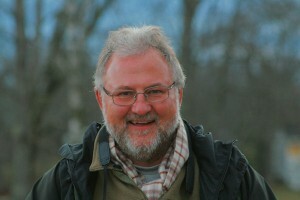 So here I am just over 2 years into this Transition/Permaculture journey. I have enjoyed having this “REconomy experience” so far, and I am still trying to align the ‘slow solutions approach of permaculture’ (which is good) with the resilience-building approach of Transition Durham’s EDAP development (slow – but good too) with the equally challenging approach of the Local Authority who are developing a new spatial plan which promotes a “growth strategy” (seems slow but is somewhat ‘unbending’ in its philosophy). What next…? Watch this space……. 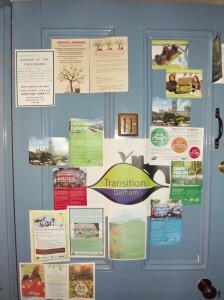 Information compiled by Alan Charlton, Transition Durham member, 5 July 2012.